Enter a world of true tranquillity in the newly expanded Spa at Monteverdi, a warm, inviting oasis with breathtaking views stretching as far as Siena. This idyllic sanctuary is surrounded by the picturesque forests and hills of the Val d’Orcia, which inspired the spa’s rustic decor. Highly skilled aestheticians perform a wide range of facial and massage treatments designed to soothe, invigorate, purify, relax, and refresh the body, mind, and soul. The Spa at Monteverdi now features a luxurious underground heated pool overlooking the Tuscan countryside, as well as a sensory shower and cold plunge pool. We proudly offer Hammam Treatments - ancient cleansing rituals at the Ottoman Empire designed to purify body and mind. Enjoy a cup of herbal tea in our relaxation lounge, the perfect spot to take in the view. And bathe alfresco on a private terrace in our signature twin travertine tubs -- one of the many ways guests can immerse themselves in an intoxicating blend of sights, smells, and peaceful sounds, and emerge transformed. Our artisanal treatments have been crafted to relax, refresh and rejuvenate, combining the proven techniques of centuries past with the most exceptional modern amenities. Guests can bring that spa experience home. We offer a wide array of luxury spa products including Officina Profumo-Farmaceutica di Santa Maria Novella from Florence, and Charme D’Orient from Paris. A staircase hugging original rock walls from the property leads to a trio of water circuit amenities. An underground heated pool, complete with a warm waterfall and massaging jets, lines the walls of a cave-like room, lit only from the sun streaming through an oversized window, allowing guests to soak in the Tuscan countryside. This sunken experience also includes a sensory shower and an invigorating cold plunge pool inspired by ancient Roman bathing rituals. *Due to safety considerations, children under the age of 14 are not permitted in the spa. Decompress in one of our twin travertine soaking tubs on a private outdoor terrace overlooking the stunning hills of the Val d'Orcia. Your therapist will assist in selecting the finest blend of intoxicating herbal products to infuse the bath water. Renew the body and soul while immersed in pure relaxation. 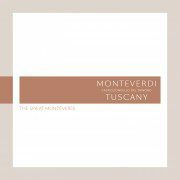 Enjoy as part of the "Monteverdi Bathing Rituals" or as an addition to any facial or body treatment. Step inside a special room tailor-made for Hammam treatments. Inspired by Moroccan bathing rituals, the process cleanses and purifies the skin. Monteverdi Hammam treatments are a profoundly luxurious spa experience that will replenish energy levels, soothe muscles, and melt your tensions away. Our signature skin care treatments are customized for your personal needs by our skilled aestheticians. Using artisanal formulations, they provide relaxing treatments to cleanse, hydrate, and slow the aging process, leaving guests looking and feeling radiant and calm. Relax muscles and release tension with an other-worldly massage at Monteverdi. Technicians use the finest aromatic oils from the Officina Profumo-Farmaceutica di Santa Maria Novella in Florence, one of the world’s oldest pharmacies. We offer a wide variety of distinctive massage techniques to detoxify, energize, soothe, and relax the body. Our attentive and expert therapists will customize any treatment to leave you in a state of bliss.